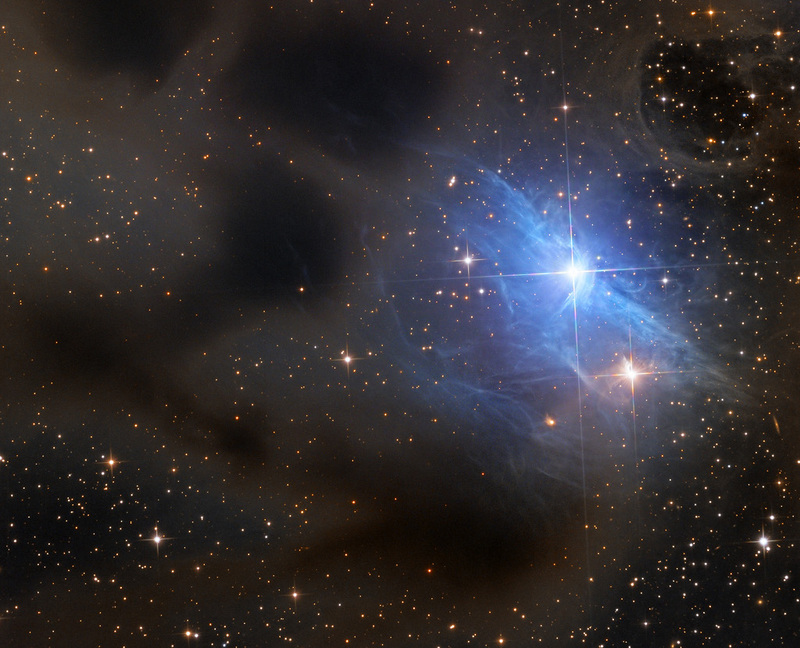 Explanation: Riding high in the constellation of Auriga, beautiful, blue vdB 31 is the 31st object in Sidney van den Bergh's 1966 catalog of reflection nebulae. It shares this well-composed celestial still life with dark, obscuring clouds recorded in Edward E. Barnard's 1919 catalog of dark markings in the sky. 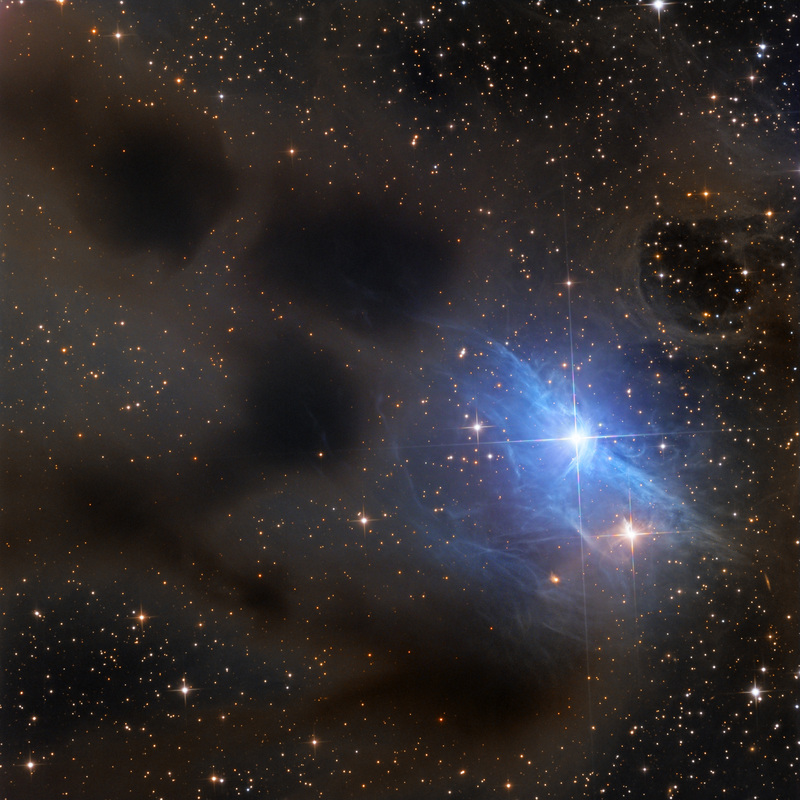 All are interstellar dust clouds, blocking the light from background stars in the case of Barnard's dark nebulae. For vdB 31, the dust preferentially reflects the bluish starlight from embedded, hot, variable star AB Aurigae. Exploring the environs of AB Aurigae with the Hubble Space Telescope has revealed the several million year young star is itself surrounded by flattened dusty disk with evidence for the ongoing formation of a planetary system. AB Aurigae is about 470 light-years away. At that distance this cosmic canvas would span about four light-years.